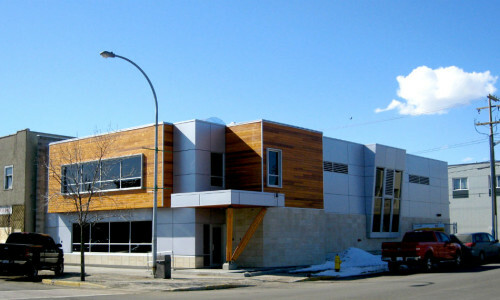 The biomass-based Prince George District Energy System (DES) provides heating for several landmark buildings in downtown Prince George while reducing 1,900 tonnes of greenhouse gases per year. 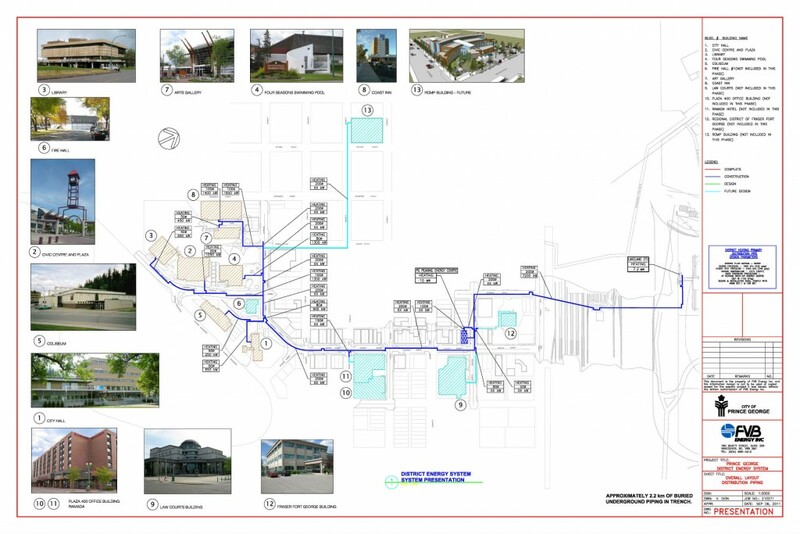 The state-of-the-art district energy system takes what was previously considered waste heat from Lakeland sawmill and transfers it via insulated piping to heat the downtown core of the city, a move that makes sense financially, environmentally, and socially. An important piece of the Prince George District Energy System is the connection to the new Wood Innovation and Design Centre (WIDC), a LEED certified wood research and educational facility. The 6 storey centre, of which 100 per cent of the primary structure is wood, will showcase the best of what British Columbia can offer in engineered wood products, a renewable and highly sustainable building resource. FVB is designing and delivering the hydronic heating interface for WIDC to be connected to the DES. FVB supported the project from the beginning right through to construction and operation. FVB helped the city overcome the challenge of locating the plant, drafted energy service agreements, and assisted the city in a marketing campaign to present DES as an attractive alternative to conventional forms of thermal energy.